Please check back often as the calendar is subject to change. Just wanted to tell the guys thanks for a fantastic show. People danced up to the very last minute. They made the night as wonderful as I had hoped. 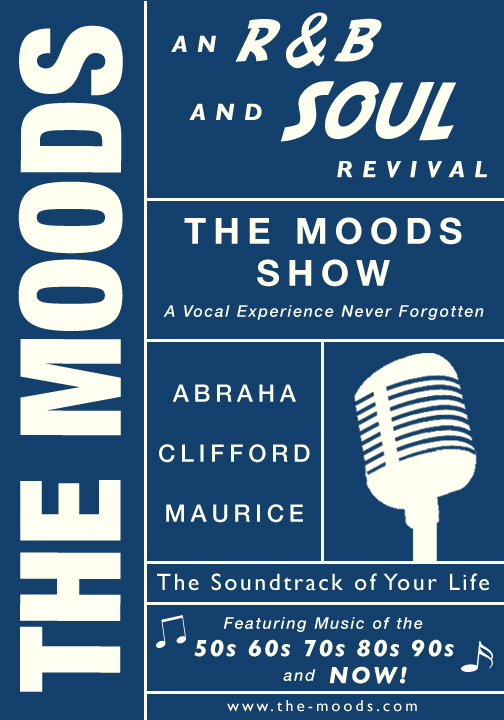 Everyone had a great time and loved how they were able to participate by singing with "The Moods." We were happy they could join us for dinner and share the day like one of the family. We will certainly be looking to meet up with them again at another event soon. Thanks for all your work Ellen. You helped to make our event a flawless one." For more testimonials like this, see our Testimonials page.